The world of video game music is vast and exciting, but one that I feel is often overlooked. Some of the most popular and iconic games in history have equally iconic musical scores to go along with them. What would game franchises like Super Mario Brothers, Halo, Final Fantasy, Mega Man, The Legend of Zelda and Metal Gear Solid be like without their amazing soundtracks to go along with them? While some fans have been enjoying game music for years, the popularity of videogame soundtracks has risen sharply in the last decade. 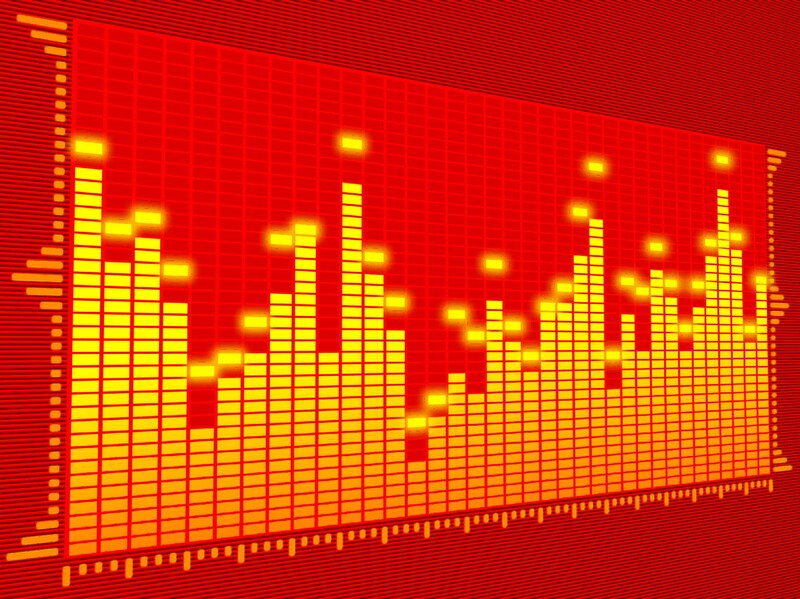 Countless fan sites, blogs and file sharing websites have gone up in dedication to game music. Some major gaming sites, like GamesRadar, feature a Game Music of the Day article beside their daily features and news articles. OverClocked ReMix is a site where devoted users create and upload remixed and reinterpreted arrangements of game music to download, all for free. Even digital download services like iTunes have been selling game soundtracks. And lets not forget Video Games Live, a concert series performed by a live orchestra with synchronized video footage and lighting and effects. The following list is comprised of the best game soundtracks that can currently be found on XBLA. Narrowing the nominees down was difficult, and many great game soundtracks were sadly eliminated. There are still a lot of great titles on the way for XBLA, and are bound to have fantastic soundtracks worthy of placement among the best. The classic Battlefield theme is nothing new for PC fans of the game, but it makes it’s first triumphant appearance on the Xbox 360 in Battlefield 1943. While not technically a soundtrack as it is one song that plays at the main menu and during loading screens, Livingstone’s memorable theme speaks volumes in intensity, beauty and heroism that are synonymous with World War II. By playing just before battles, players are given a boost of adrenaline because they get the sense that they are about to take part in something truly epic, and it’s hard to imagine a more epic-er war theme than Battlefield 1943’s. After its launch, the Xbox 360 was renowned for the XBLA’s quality and potential. Some critics even joked that the titles on XBLA were better than the retail launch games. Hexic HD was one of these XBLA games that came preloaded on each console’s hard drive, and featured a low-key and relaxing experience in stark contrast to heart-pumping intensity of Geometry Wars, the XBLA’s best game at the time. Hexic HD’s soundtrack is equally relaxing, and is an extraordinary listening experience filled with smooth beats, eclectic sounds and delightful noises. The soundtrack was so good that composer Jerry Schroeder released the entire album as a free download, which can be found here. The Odd Gentleman’s pie-collecting puzzle-platformer is one of the more unique-looking titles on the XBLA. Although Winterbottom’s gameplay is often compared to Braid’s, its look and feel is similar to that of silent films from the early 1900’s. The soundtrack rightfully echoes this era with its piano and harpsichord-centric songs. Savory Salutations is a perfect example of the charm of Winterbottom’s soundtrack, with its infectious melody and sharp snare drum. Some tracks can tread into a darker, more foreboding sound that really adds to the overall personality and distinctiveness. Rez became a cult classic on the Dreamcast and PlayStation 2 with its trippy effects and pounding techno soundtrack, and fans were naturally excited to hear that an HD version would be coming to XBLA. But to say that Rez HD has a great soundtrack is almost an understatement, because it’s more of an experience than anything. So what does that mean, you might ask? Rez HD is basically an on-rails shooter in which everything you do adds another sound effect layer to the soundtrack, which eventually culminates in to a display of lights, lasers and exploding techno beats fit for a Daft Punk concert. The best part is that the player is making it all happen, so in a way, you are creating music as you play the game. If you have a sweet home theater system, Rez HD would certainly be a good game to show it off with. Back when vampires were dark and Gothic, and didn’t look like high school kids with emo hair cuts and sparkling skin, Castlevania was the best thing that had to do with the legendary undead. Castlevania: Symphony of the Night’s soundtrack is a triumphant and diverse score that fits perfectly in a game about vampires. There are many standout tracks from the album, which is complete with a symphony orchestra, electric guitars and, of course, organs. The track Lost Painting is one of the more beautiful and atmospheric songs from the game, evoking Gothic imagery of a night sky and full moon behind Dracula’s castle. Castlevania fans should be excited for Harmony of Despair, the new Castlevania game coming to XBLA during the Summer of Arcade. Rare’s futuristic FPS had a fantastic soundtrack that oozed with sci-fi character. 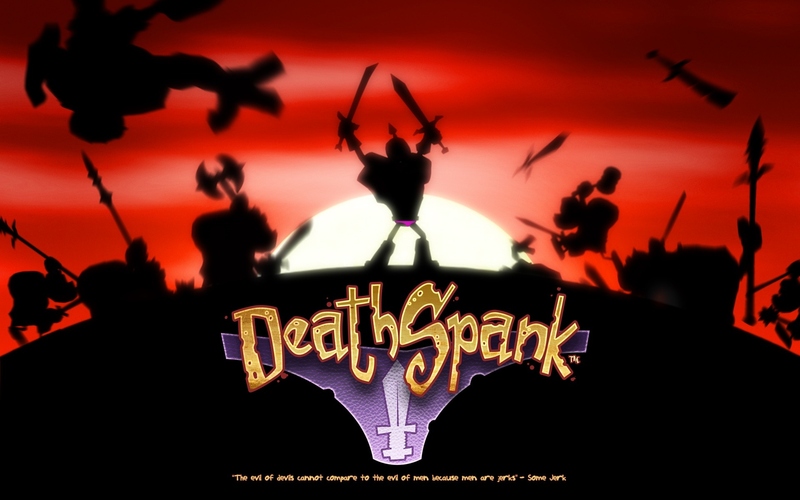 Even when the game received an HD makeover for XBLA, the soundtrack remained untouched. Listening to it now makes it clear the music is from the Nintendo 64 era, but that doesn’t make it any less awesome. The track DataDyne Central Defection sets the tone for the game, and begins with the player on top of a skyscraper surrounded by a futuristic metropolis. A full moon is present, flying cars zip by and sirens can be heard in the distance. It’s aural experience that is still extraordinary even today, not to mention a hell of a good game. Mega Man 2 seems to be regarded as having the best soundtrack in the series. While every game had a pretty good soundtrack in my opinion, Mega Man 9’s soundtrack blew me away without ever having played the game. This song, Thunder Tornado from Tornado’s Man’s Stage, is one of the catchiest 8-bit tunes I’ve ever heard. Plus, the fact that Capcom made sure Mega Man’s retro style remained intact makes this game even more special, considering it came out in 2008. The rest of Mega Man 9’s soundtrack is just as good with a few other standout tracks, but there’s just something about this particular track. Once I hear it I end up whistling the song for days. It’s a true testament to the simple joy and nostalgic power of 8-bit music. Braid is one of those games often brought up in the “games are art” debate, which is partially due to it’s beautiful soundtrack. Without it’s deep undertones, stunning string-work and lulling pianos, Braid loses almost all of its meaning and beauty. Undercurrent, by Jami Sieber, is one of the soundtrack’s highlights, and is almost hypnotizing with it’s harmony. It’s easy to forget about playing the game and instead just sit back and enjoy the music. It’s a rare gem that every gamer should at least try. Street Fighter II and it’s legendary soundtrack are among the best that gaming has to offer. Various iterations of the classic game followed the original, one of them being the XBLA’s ridiculously titled Super Street Fighter II Turbo HD Remix. For the game’s soundtrack, a number of OverClocked ReMix artists contributed to the music in SSFIITHDR after Capcom’s associate producer Rey Jimenez heard the organization’s 2006 Super Street Fighter II Turbo tribute album Blood on the Asphalt. The result is an album entitled OC ReMix: Super Street Fighter II Turbo HD Remix Official Soundtrack, a 66-track album full of dazzling reinterpretations of Street Fighter II’s original music. Made in U.S.A. (Ken’s Theme) stands out to me as the best track on the album with its slammin’ guitars, heavy synthesizers and intense drums that immediately grabs your attention. It’s timeless melody remains perfectly intact while still being super intense and fast-paced. It’s the type of song that’s hard to listen to without feeling slightly sweaty by the end. I’m not a music producer, but I don’t have to be to know that BCR’s soundtrack is an extraordinary work of art. The original Bionic Commando soundtrack for the NES was decent, but Viklund’s work has transformed it into something that is unlike anything on XBLA. It’s the perfect combination of retro melodies and modern production values that is both new yet instantly recognizable from its original NES score. The appropriately named Heat Wave features BCR’s trademark deep synthesizer effects with a healthy dose of drum and bass. It fits the game’s futurist military setting perfectly. This track is more atmospheric than Heat Wave, and starts off slowly before escalating into a brain-vibrating rendition of bass and synthesizers. The electronic drum fill at 1:17 gives me goosebumps every time I hear it. The last minute or so of the song steps away from the heavy synth tones and delves into something more nostalgic. 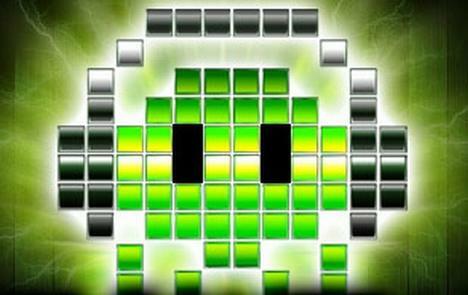 A simple 8-bit tune carries the rest of the song out in addition to some more sharp-sounding drum and bass. It’s certainly one of the more varied songs from the soundtrack, and I highly recommend listening to it with a good pair of headphones if you’ve got some. Even when I listen to it now, I discover a new sound or section of music that I didn’t notice before. So there you have it, the ten best game soundtracks on XBLA. Was your favorite game soundtrack omitted from the list? Feel free to share your favorites below in the comments. With enough participation, we could get the ultimate game music playlist going.